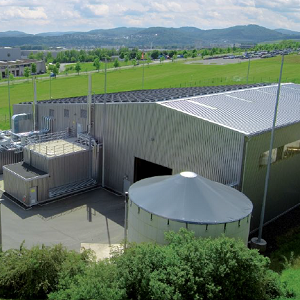 BIOFerm Energy Systems is a leading provider of turnkey anaerobic digestion and gas upgrading systems in North America – with over 450 digester installations and 900 PSA installations (including gas upgrading). – Optimize waste management solutions. Communities, wastewater treatment plants, landfills, food processors, agricultural operations and other producers of organic waste or biogas can maximize value by repurposing their waste streams or upgrading their biogas with BIOFerm. We are positioned to seamlessly integrate waste management solutions into each operations’ individual waste stream due to our diverse suite of biogas technologies. BIOFerm is based in Madison, Wisconsin and has industry expertise in design, engineering, construction, operation and management of turnkey biogas projects. BIOFerm is positioned to seamlessly integrate waste management solutions into each operation waste stream due to our diverse technologies. Additionally, we offer the industry’s best performance guarantee and have one of the highest occurrences of repeated business. To ensure support from project start to completion, we offer a complete scope of services. Our customers realize cost savings and generate revenue by using biogas as clean energy. In areas with high waste management fees, waste disposal fees can be reduced. Further, digestate (material remaining after anaerobic digestion) provides value as a fertilizer, compost, or as a high-quality organic product. 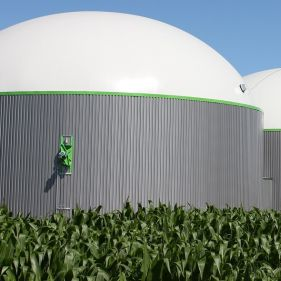 Biogas from anaerobic digestion can be combusted in a combined heat and power unit (CHP), producing renewable heat and electricity. 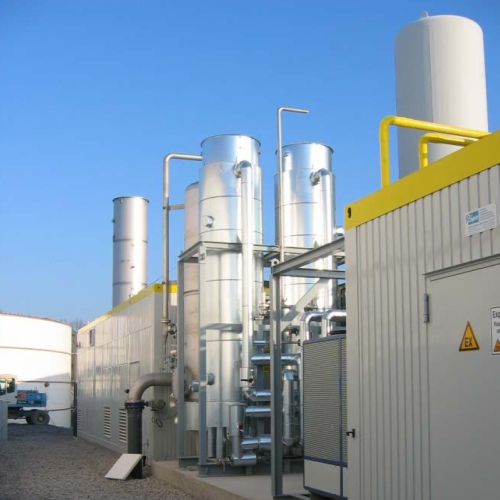 Biogas alternatively can be upgraded to renewable natural gas (RNG) to be used as a vehicle fuel in the form of compressed natural gas (CNG) or liquefied natural gas (LNG), or injected into the natural gas pipeline grid. 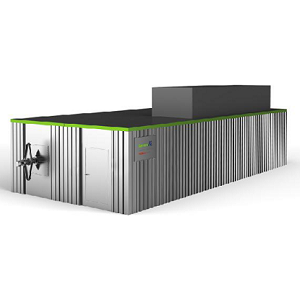 In addition to anaerobic digestion systems, BIOFerm offers biogas upgrading and gas-to-grid injection as North America’s exclusive provider of the Carbotech Pressure Swing Adsorption (PSA). These systems utilize PSA technology to scrub raw biogas (from AD systems, landfills, municipalities, wastewater treatment plants, agricultural operations, etc.) and upgrade it to RNG for pipeline injection, or for use as fuel in the forms of CNG or LNG.